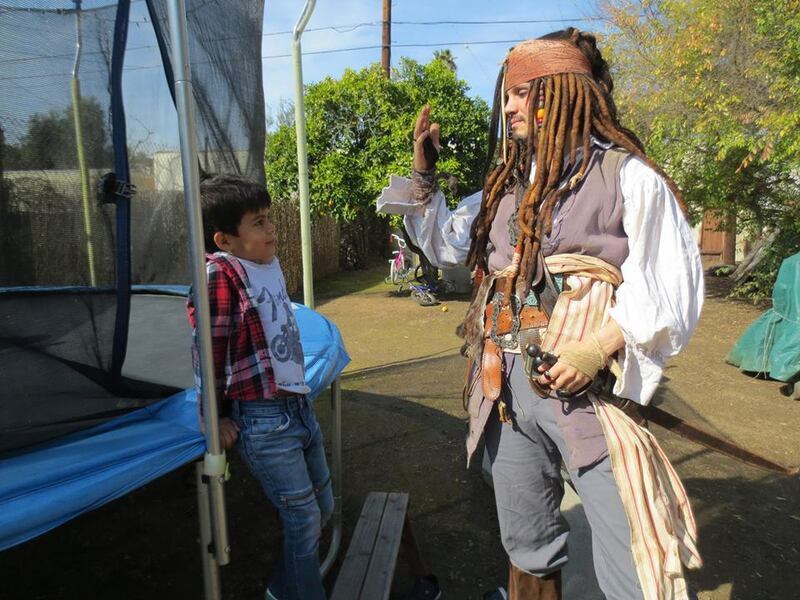 Zan Alda has been performing as Jack Sparrow for over a decade now! 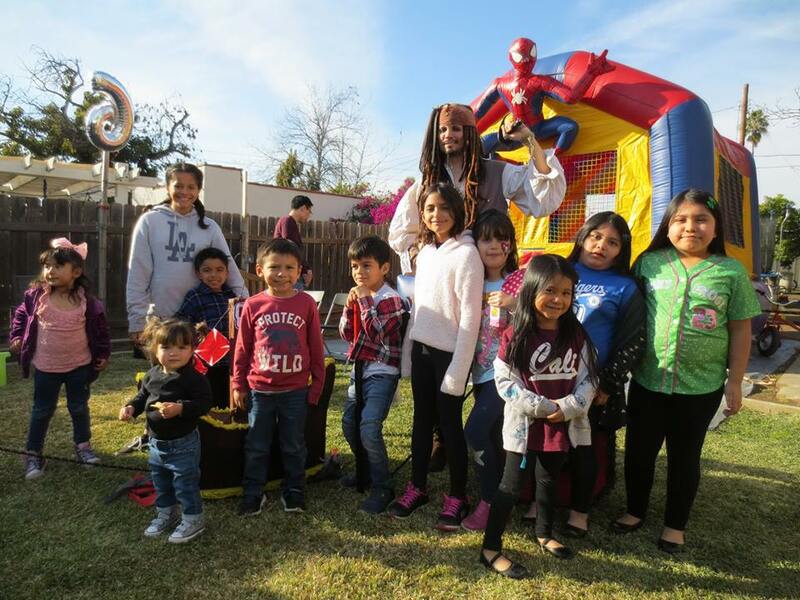 Entertaining at countless birthday parties and performing in shows at county and state fairs all over the country, there's no one better to bring your event to life! Alda's Sparrow costume is the definition of screen accurate and has been personally worked on by costumers from the actual Pirates of the Caribbean films! 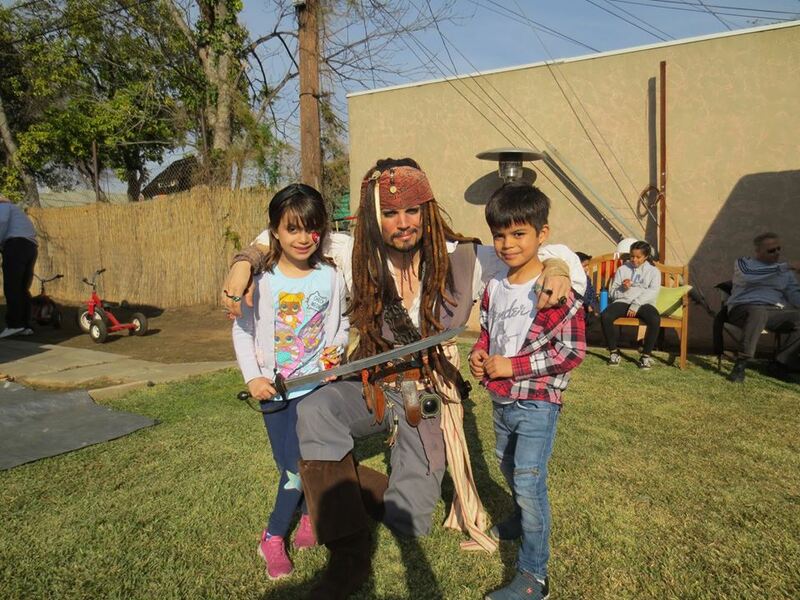 His dedication to quality and professionalism stems from having worked in the character department at Disneyland, five years and counting, where he has performed as Jack Sparrow. Captain Jack Sparrow beyond Awesome!! 100 stars! In character all the way through the party, kids loved him including my big kid husband! 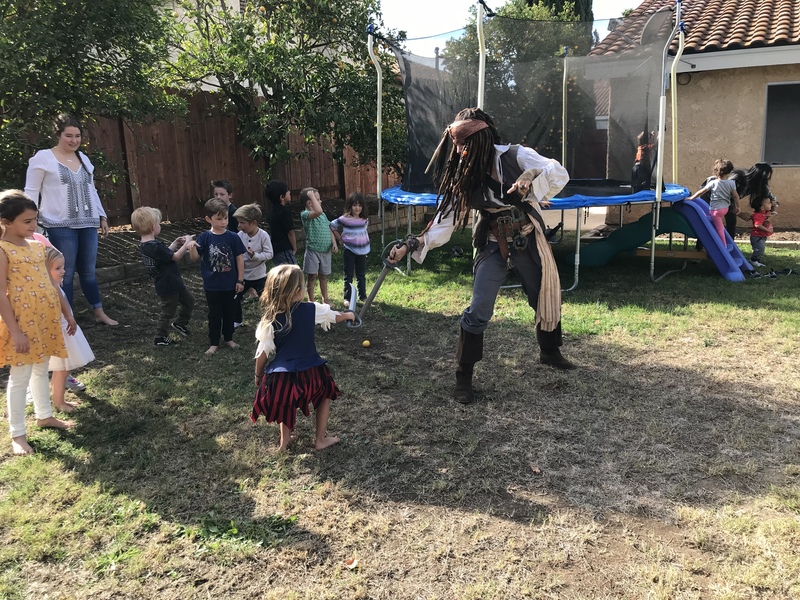 Captain Jack was so professional and a great sport when a couple of kids squirt water in his face playing around. Very talented and Great with kids!!! 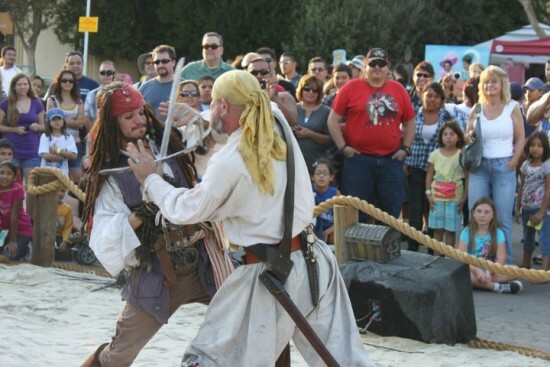 We love Captain Jack and highly recommend Mr. Sparrow to other events. Thank you so much, Captain Jack Sparrow! The party was a successful event due to your excellent show. His costume is amazing! But I was disappointed in his “activities” with the kids. He couldn't get the kids attention. They were running all over the place. I hoped he would done a better job with that. I even tried to help a few times... he seemed overwhelmed. Anyway, everyone had fun and again his costume was beautiful. I’m sorry to hear your satisfaction was less than complete, Majorie. I appreciate the feedback. I’m sure you can understand how challenging it is to fully engage an excessively large group of very young kids all at once, especially when they’re spread out in a Birthday party venue with so many other play options for them to choose from. Without an assistant or partner it can be challenging for me to keep the attention of all the children at once. I’m happy to hear everyone had a fun time otherwise. Thank you for having me! 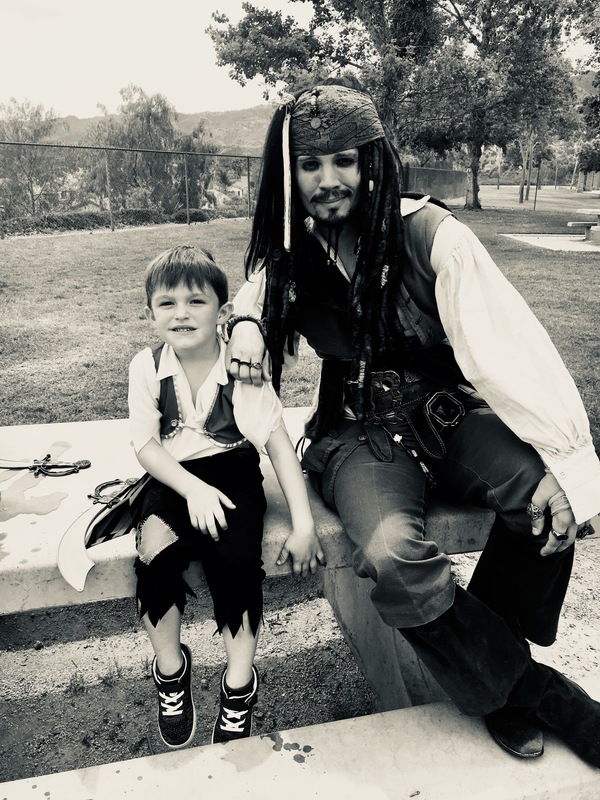 All I can say is this Captain Jack is better than any impersonator I have ever seen, and that includes Disneyland characters! Bar none. He was everything we hoped for and more! My son was thrilled and in complete awe. We paid for forty five minutes and Jack stayed for an hour and a half because he wanted to participate in every aspect of the party! He even sat down with all the kids while they ate pizza and chatted with them. 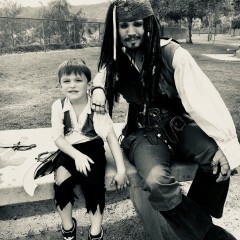 He let my son show him pictures that he had drawn of Captain Jack sparrow and he said how good they were and told my son to keep drawing because that’s how he would become a true artist! We sang happy birthday and Jack acted exactly how Jack Sparrow would have, he danced around and was so jolly. It was just EXCEPTIONAL! Worth every penny, this is a party my son will never forget and talk about for the rest of his life. He truly believes the real Captain Jack was at his party. Captain Jack Sparrow is amazing! 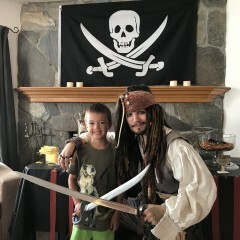 I highly recommend Captain Jack for your next pirate theme event. Everyone loved him. Truly a real professional that stayed in character the entire time. He is even willing to stay a bit longer. Captain also helped with the "piñata", how awsome is that! 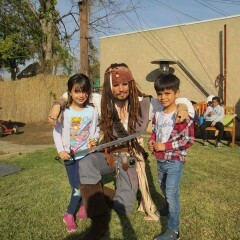 Thank you Captain Jack Sparrow for the wonderful time. I cannot imagine a better Captain Jack Sparrow out there. 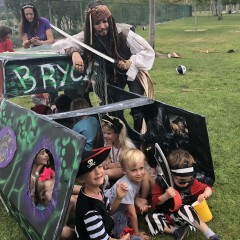 Every detail was perfect - his costume, scent, the activities, and beyond that, he was really wonderful with the kids, kept them entertained and even dealt with the "more challenging" ones well (aka the hecklers). Zan is the best Capt Jack impersonator out there. He sounds exactly like Johnny Depp's character, he has got it down! His wit makes him great with improvisation with both children and adults. Costume is HIGH QUALITY! He was on time, professional, and so sweet. Many others at the party wanted him for their events. Very professional. Arrived on time, dressed, and ready to jump in with all the kids. Engaged with the children very well, and got down on eye level to play with them. Had sword fights, posed for pictures, and even got in the jumper house to play with them! In character the whole time, did not drop even once. Even took the time to mingle with all the party guests including adults. I did provide him with water and ask him if he would like a few minutes in the house to take a quick break. Excellent job, very nice the costume does not look cheap or shabby at all; very well made, including the wig. recommend for kids and adult parties as well! Highly recommend anyone looking for a pirate to stop by for any occasion! 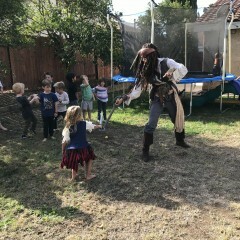 We had a birthday party for my boys on 05/07/07 in Sherman Oaks and hired Zan as Captain Jack Sparrow. He is super-punctual, absolutely un-businesslike and SO SO talented. 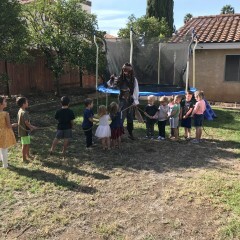 Most of our friends couldn't believe how well he connected with the kids (we had a party of 60 guests) and they all had a fabulous time. He is amazing with kids as well as adults. We have never had a better birthday party and it was ALL because of him. I must say that he remembered every single discussion we had prior to the party and he managed to make our party a smashing success. My boys are still talking about Captain Jack. 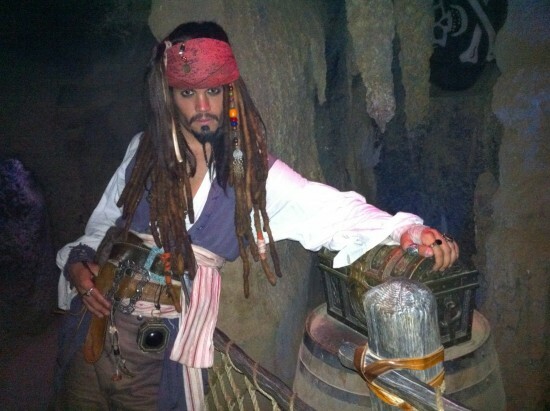 We even had some friends comment on how much better he is than Johnny Depp (as Captain Jack! )- now that's a compliment! 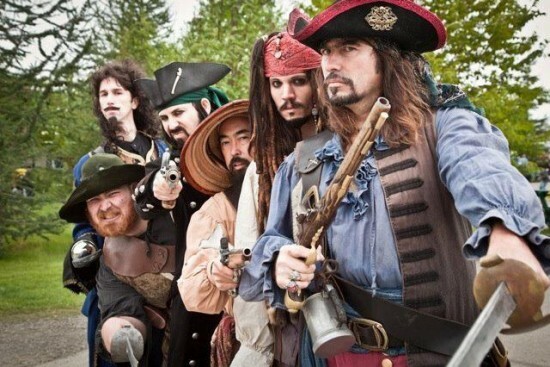 I and all our 60 friends HIGHLY recommend Zan as Captain Jack. Jack Sparrow is awesome fr beginning end! Jack was professional at all times. He entertain the kido! He was awesome...Even the adults were impressed... Thanks Jack! CPT Jack Sparrow - Amazing! I cannot thank Zan enough for giving my 4 year the best day of his life! My son Cristian has been obsessed with Cpt. 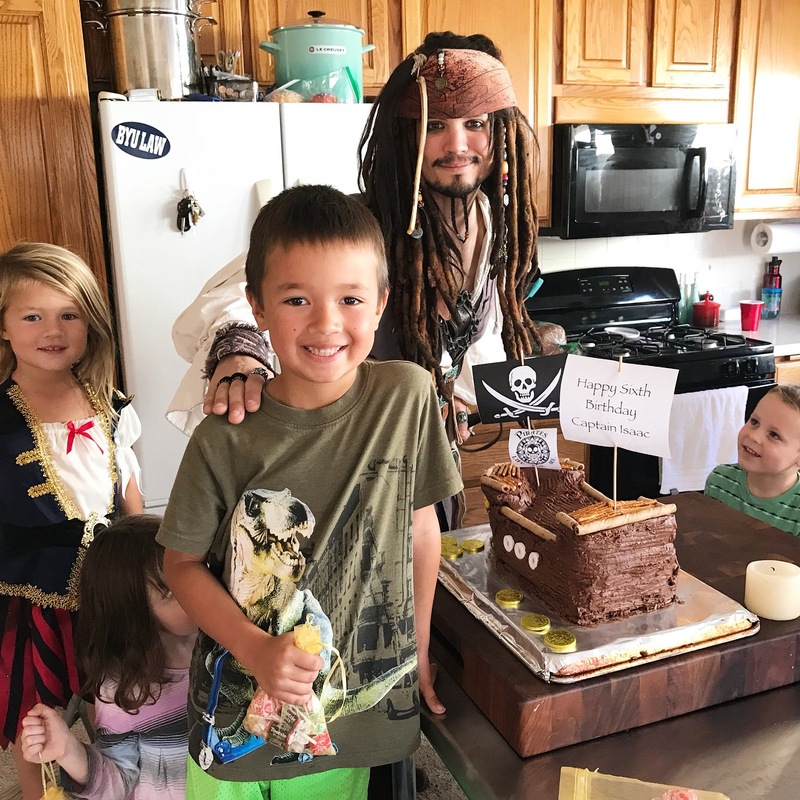 Jack Sparrow for over a year and this past Saturday, Zan gave him the best gift ever. 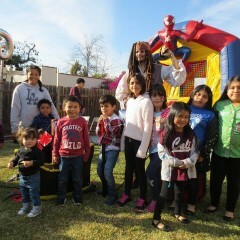 Cristian keeps saying "I can't BELIEVE Jack Sparrow came to my Birthday party!" Zan was hilarious, patient, true to character and so good with the kids, he asnswered all of their questions, played games, took as many pictures as we wanted and took Cristian on a treasure hunt. All of our guest kept asking me about Zan, they were so impressed, I couldn't have asked for anything more, he truely made it a special day. I hired Zan to perform at my son's 7th birthday party. To be honest, I had never hired an impersonator/entertainer before, and I was a bit skeptical. I didn't know what to expect, but my wife really wanted to surprise Choen, so I hired him and set my expectations low. This Capt. Sparrow blew me out of the water! Not only was Zan on time, but he was extremely professional. 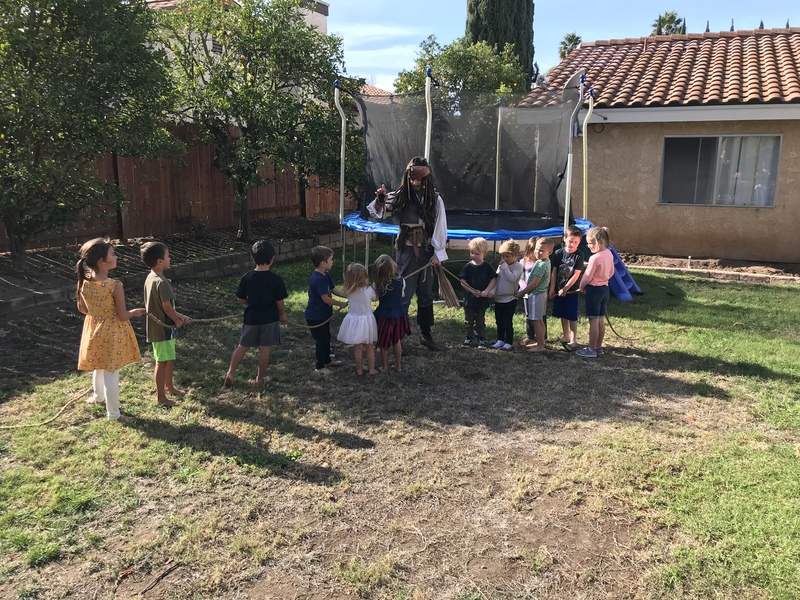 The children LOVED meeting Capt Sparrow, and were enthralled by his pirating activities. 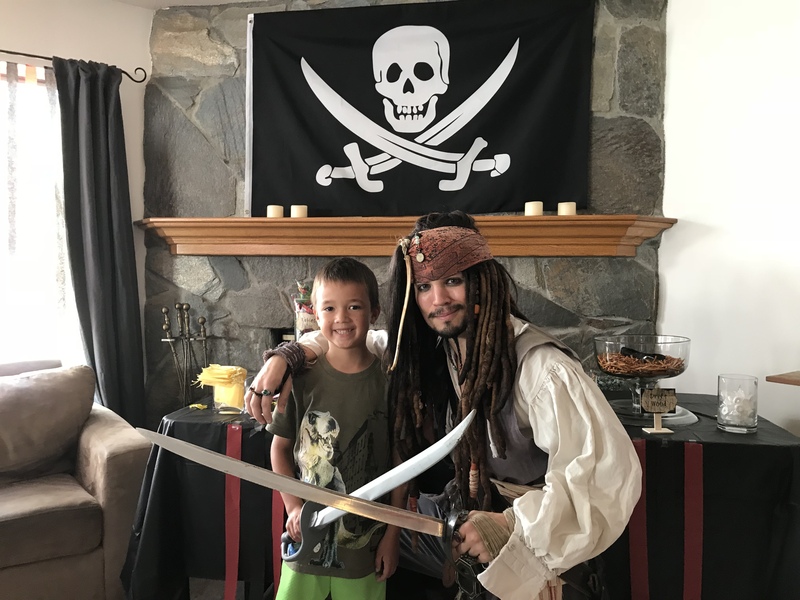 Zan had everything prepared: sword fighting, treasure hunting and pirate training! It was fun, and to my wife's delight, SAFE. I can't express how impressed I was with his performance. Would highly recommend to any family. 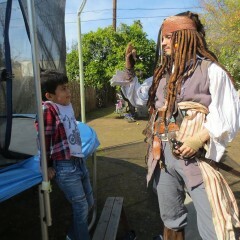 Zan had me thinking that I was meeting the real Jack Sparrow! I love the character and everything about Zans impersonation was perfectly orchestrated. The resemblance is uncanny! I was completely mezmorized by his performance. Zan has obviously studied Jack Sparrow very meticulously and has nailed this character. Everything from appearance to "accent," even facial movement and expression. He's very professional and remains in character no matter what happens. I would highly reccomend as your first choice for Captain! No two gigs are ever quite the same! 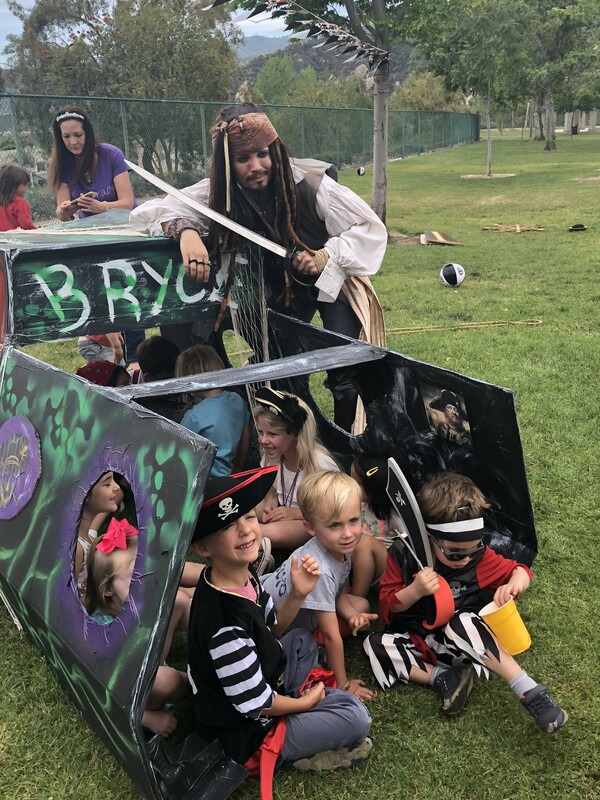 For birthday parties, Zan likes to design activities customized to the location and space(backyard, playground, park, beach), number of party guests, and the average age of the guests. These activities most popularly feature props, including safety swords, rope, treasure. Additional pirates (male and female) are also available to accompany Zan for double or triple the pirate fun! Contact Zan for more details! 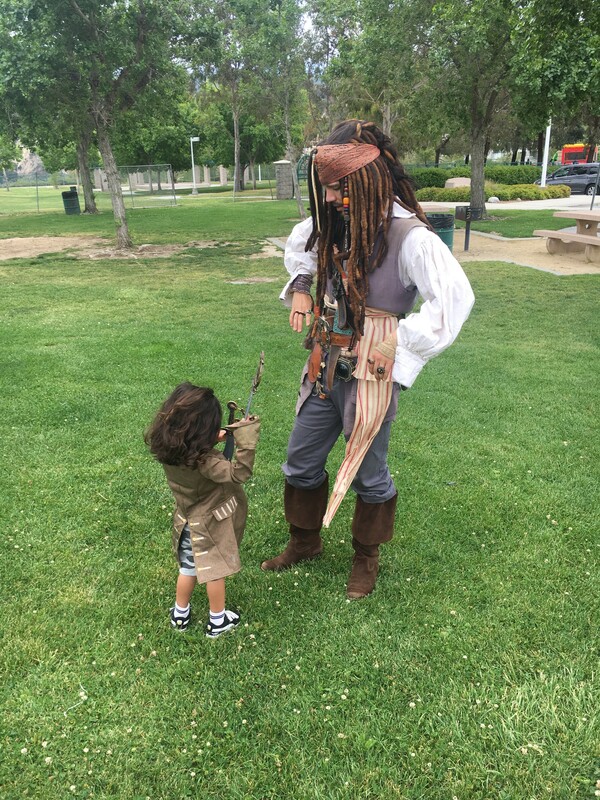 For atmospheric appearances, Zan is a master of mingling, making Jack Sparrow fit in with any age group or occasion! As the nephew of Alan Alda and grandson of Robert Alda, Zan Alda has a natural talent for acting. He has cultivated his passion for performing since high school and continued it through college, performing in many stage plays, musicals, and films. Has performed as Jack Sparrow Since 2006. Has worked in Disneyland's world famous character department for five years and counting. Screen accurate costume worked on by actual costumers from the Pirates of the Caribbean films. 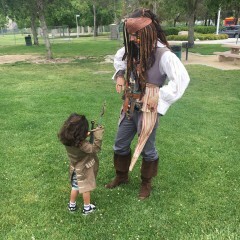 Appeared as Jack Sparrow on Good Day L.A. with a costumer from Pirates of the Caribbean: On Stranger Tides to promote the release of the movie. Played Jack Sparrow in Indy Mogul's The Adventures of Young Jack Sparrow. Notable fair engagements as Sparrow include Los Angeles County Fair, Corpus Christi Buc Days in Texas, and the Alaska State Fair. Jack Sparrow for Pirates for Hire, a live action pirate-themed entertainment group.